why i chose to go home (for vacation). I wrote this post when I was on the plane flying to Seoul from Vancouver. I thought I’d try to take up some of the 11 hour flight by writing a blog. A lot of people who teach in Asia say that you shouldn’t go home during your year away. Some think that it’s way better to travel throughout the continent or elsewhere. Why go home when you have so many other places you can visit? When I first thought about my year in Seoul, I had big plans to travel. I thought I’d definitely go to China and Japan and who knows where else. However, lots of things changed my mind and I’m incredibly happy I made the decision I did. The first major (and really the only) reason I didn’t travel elsewhere, or stay in Korea, was because I needed to see my family, friends and Jacob. Although a year can be a short period of time, it actually felt extremely long to me sometimes. Five months apart from my boyfriend was really painful and I craved my family and friends, as well. From the second I stepped off the plane to just before I got back on it, I just had the best time, every day. The first week I was back I stayed at home in Richmond Hill. I arrived on Saturday, January 15 and the next day my family, Jacob and I all put up the Christmas decorations. My parents didn’t celebrate the holidays without me. It was so lovely to look forward to that. We put on Christmas music, my parents made me eggnog (from scratch), we had apple cider and cookies and put up the tree. The next day my Auntie Jean and Uncle Morry came over, as well as our family friends Debbie and Mohan. It was really interesting to talk to them since they asked me questions which made me think about what it actually was like to live abroad. On Wednesday I went to Etobicoke to meet Jacob’s parents for the first time. 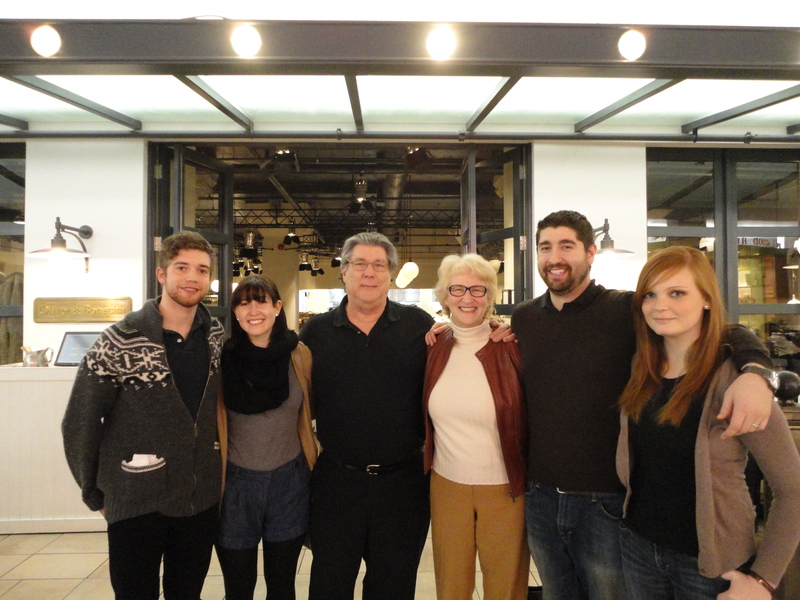 They made a huge, delicious dinner and it was so nice to finally meet them (other than on Skype). The next day we celebrated Christmas at home. My parents, Jacob and I had a huge Christmas breakfast and then later on my brother and sister-in-law came over and we opened presents, then we ate another huge dinner. It was heartwarming to be able to celebrate the holiday with my family, a month after the date. That Friday I went to Hamilton to stay with Jacob for the week. I got to spend a lot of time with him, as well as with my close friends who came up throughout the week. It was so much fun to just hang out, play video games on Super Nintendo, go to Absinthe for Motown night and visit the McMaster campus again. That weekend we were supposed to go to Gabi’s cottage but instead stayed in Hamilton again for one last time. 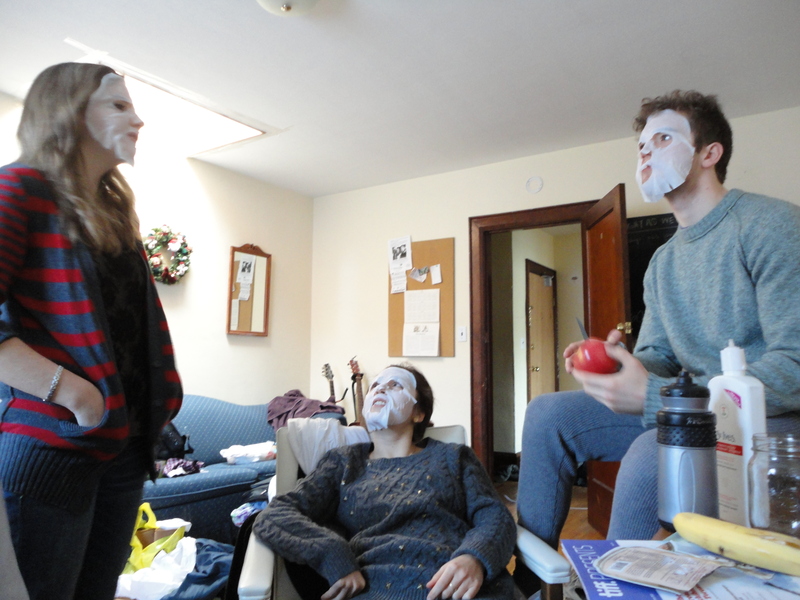 wearing face masks from korea. The last week I went back to Richmond Hill. I tried to see some more friends and spend time with my family. Jacob and I went geocaching, which was really fun and really cold. We used his iPhone to find a hidden cache in a forest about a kilometre from my house. You can download an app and it will tell you which direction to walk and how close you are to it. 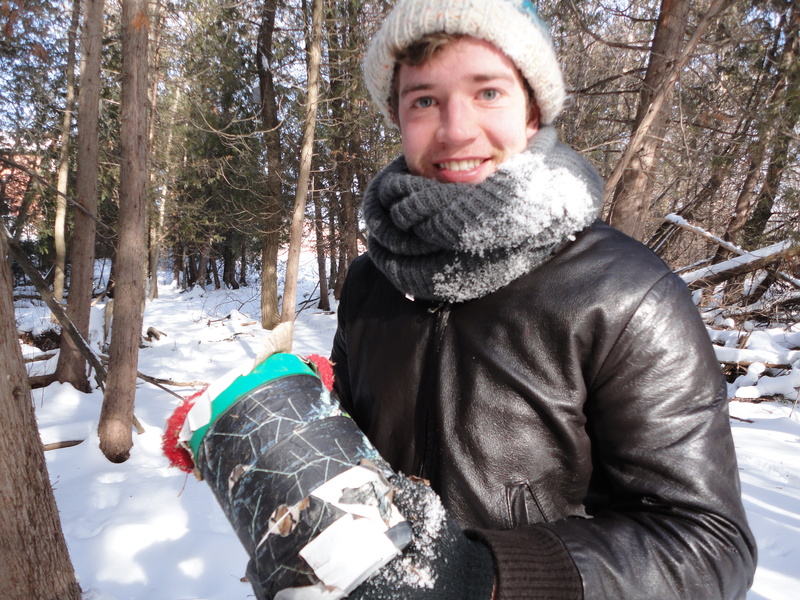 When we finally found it (in a dead tree covered with snow) we opened it up and signed our names on the log. We left some free samples of Korean face masks and a photo I had. Later in the week I went for dinner at my brother and sister-in-law’s house and then Jacob and I went to see “The Agony and the Ecstasy of Phil Spector” at the TIFF Lightbox Theatre. It was quite good, by the way. One of my last nights my family and I all went for dinner at Oliver and Bonnacini for Winterlicious. It was delicious and so nice to spend some time with my family. I left early Friday morning for an 8 am flight, which was terrible to say the least. Waking up at 5:20 am and saying goodbye to my parents and Jacob was really rough. However, even though it was hard to say goodbye again, I am still extremely happy that I went home. For me, it was the right choice to go home. 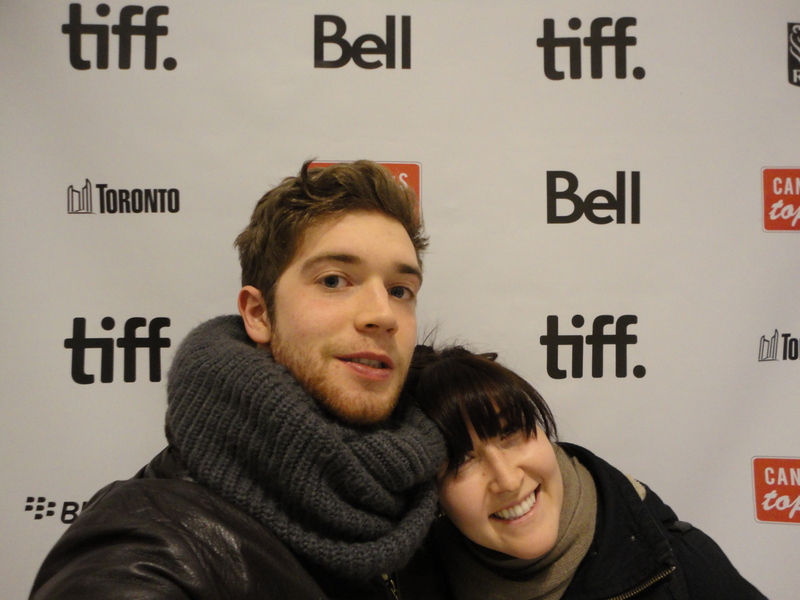 jacob and i at the TIFF theatre. jacob happily holding up the cache. Of course finances played a part. I am saving all my money for college, and my parents helped to pay for my ticket home. Although eventually I would like to visit all of the places I listed up there, it just wasn’t the right time and I didn’t want to stay in Korea. I needed to go home and although I’m feeling depressed right now, in just two months Jacob will be coming to Korea to visit me for two months, so I can get another taste of home and see him again. Being home allowed me to have a break, speak English, see the country I like more and more, and spend time with the most important people in my life. Some people might not agree with my decision to go home, but I couldn’t be happier that I did it.